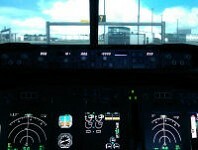 Enter the flight deck of a Boeing 737-800 simulator. We're all set, 7 miles out from landing. 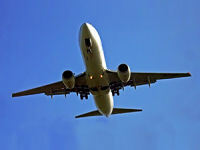 Can you get the aircraft safely on the ground? 30 minutes, with 10 minutes in the air. We offer a 'Classic Spitfire' Virtual Reality experience. Fly over the white cliffs of Dover or shoot down the enemies in an enthralling dogfight. 35 minutes, with 30 minutes in the air. Fly the F35 fighter Simulator. 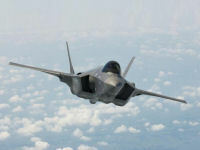 Discover the amazing avionics & stealth technology.Your unique opportunity to experience what it feels like to be a Top Gun of the BEST AirForce fighter ever built! Ideal introduction to aviation for those not sure they are ready to take to the skies just yet!You can experience the excitement of flying whatever the weather. 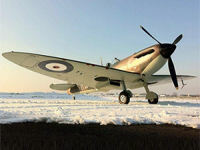 We offer a 'Classic Spitfire' Virtual Reality experience. Fly over the white cliffs of Dover or take part in the Battle of Britain and shoot down the enemies in an enthralling dogfight. 65 minutes, with 60 minutes in the air. 65 minutes, with 1 hour in the air. Ever fancied being the captain rather than a passenger on a jetliner then this is for you. Chance to fly 'heavy metal'! 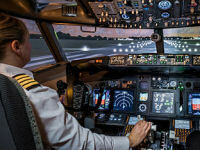 Experience virtual flying made real in this impressive flight simulator at Mildenhall. It's destination Suffolk for a session with the our team learning how to get a Boeing 737 off the ground (and back again) safely and without incident. 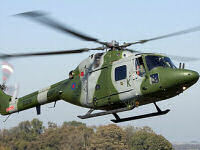 Experience virtual flying made real in this impressive Lynx Helicopter Simulator at Mildenhall. 55 minutes, with 45 minutes in the air. 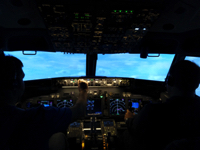 This Simulation is for anyone with or without aviation experience. 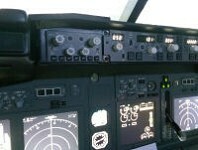 You will be under the guidance of a 1st Officer, who will assist you through the session. Friend or relative may accompany the recipient in the cockpit. If you always wanted to know what happens on the flight deck of a Boeing 737 airliner,or wondered if you could land one, then this is for you. Enter the flight deck of a Boeing 737-800, we'll climb up to 10,000 feet, which is over 2 miles high, and show you how to fly a 75 tonne airliner! 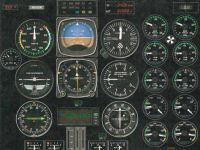 Once you've mastered the controls, circuits, bad weather, engine failure, you decide! 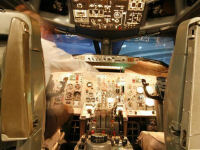 Experience virtual flying made real in this impressive flight simulator at Mildenhall. It's destination Suffolk for a session with our team learning how to get a Boeing 737 off the ground (and back again) safely and without incident. 90 minutes, with 75 minutes in the air. 70 minutes, with 1 hour in the air. 80 minutes, with 70 minutes in the air. 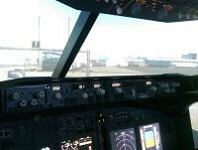 After a short briefing you wll enter the Boeing 737 full- motion simulator and take the controls next to an experienced pilot.Includes cockpit photograph as a momento. Full 90 minute SIM experience. Ideal introduction to aviation for those not sure they are ready to take to the skies just yet!You can experience the excitement of flying whatever the weather. 100 minutes, with 90 minutes in the air. 120 minutes, with 120 minutes in the air. Full 2 hour SIM experience. Ideal introduction to aviation for those not sure they are ready to take to the skies just yet!You can experience the excitement of flying whatever the weather. 130 minutes, with 2 hours in the air. 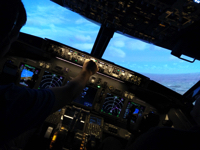 Valentine Experience - Virtual flying made real in this impressive flight simulator.It's destination Suffolk to learn how to get a Boeing 737 off the ground (and back again) safely and without incident.Includes 2 commemorative mugs. 105 minutes, with 90 minutes in the air. 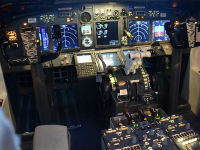 After a short briefing you wll enter the Boeing 737 full- motion simulator and take the controls next to an experienced pilot for a full hour.Includes cockpit photograph as a momento. 2 hours in Simulator. Have you got what it takes? 135 minutes, with 2 hours in the air.